Looking for movie tickets? 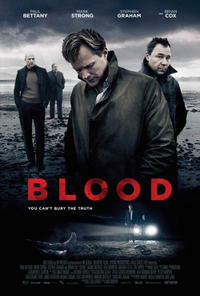 Enter your location to see which movie theaters are playing Blood near you. The Fairburn brothers (Paul Bettany and Stephen Graham) are detectives who have lived under the shadow of their police chief father (Brian Cox) – a man known for doing whatever it takes to get a confession.